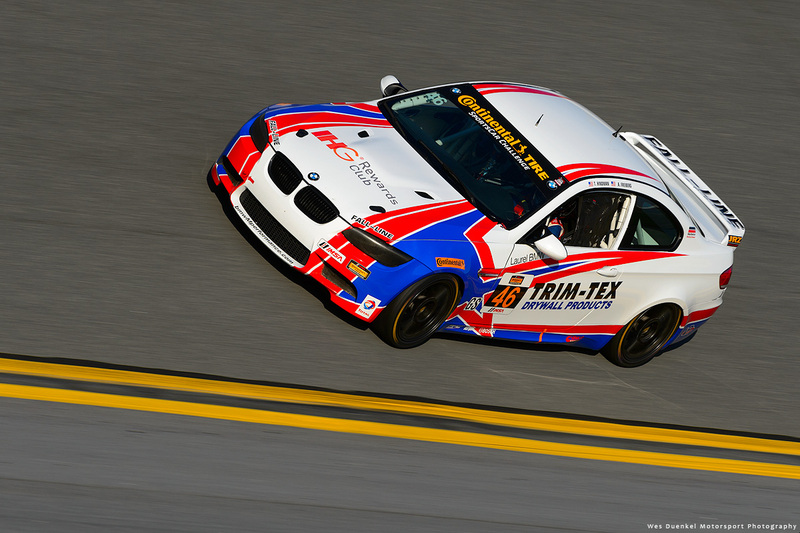 As the IMSA Continental Tire SportsCar Challenge heads to Road America this weekend, there are almost too many story lines to count for Trim-Tex Drywall Products. From a young promising talent getting his first shot at the professional level, a massive turn-around to get a car repaired and ready to race, and a big crowd of customers and vendors on hand to support the home team, there is a lot going on for Trim-Tex this weekend. 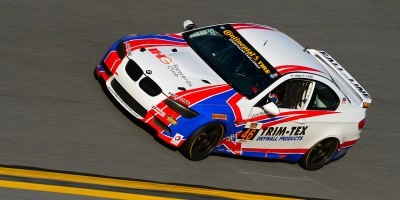 After an encouraging weekend at Lime Rock Park with Burton Racing two weeks ago, Trim-Tex Drywall Products will once again partner with the 2013 Championship squad on the No. 21 BMW 128i ST Class entry. But this weekend will see a different line up as Joe Koenig is joined by young Josh Bilicki for the effort. The call to the big leagues marks Bilicki’s IMSA debut after several seasons of encouraging efforts in Spec Miata competition. Trim-Tex Drywall Products has joined Burton Racing to partner on the No. 21 Trim-Tex Drywall Products BMW 128i. He is also very familiar with Trim-Tex, as his father is one of Trim-Tex’s 2,000 dealers. The young charger has been carrying the Trim-Tex name on his Spec Miata already this season, recently earning a podium at Road America for the red, white, and blue Trim-Tex colors. Adding to the anticipation for the weekend is the return of the No. 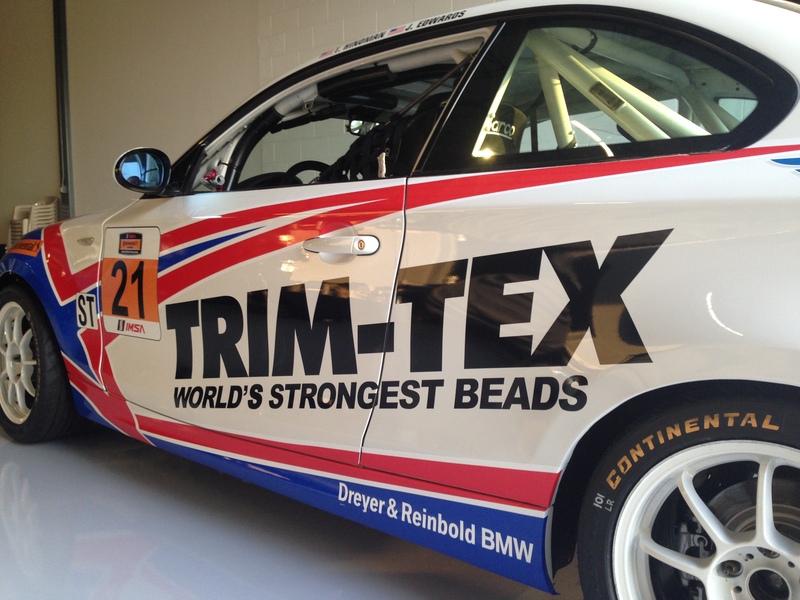 46 Trim-Tex Drywall Products GS BMW M3 for defending champion Trent Hindman and co-driver Ashley Freiberg. Less than two weeks ago at Lime Rock Park, the No. 46 Trim-Tex Drywall Products GS Class machine was knocked off track just moments after the start of the race. The damage was severe enough to not only end the race on the spot for Freiberg, but also to call into question whether the BMW M3 could be repaired in time for the Road America round. 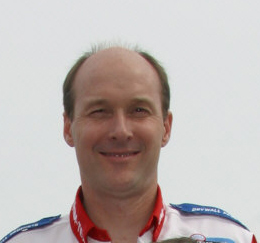 But Fall-Line Motorsports once again demonstrated what makes them a championship caliber organization, turning the No. 46 Trim-Tex BMW M3 back into a fully prepared racing machine ready for competition this weekend. With there once again being two Trim-Tex Drywall Products entries to root for, there will be a healthy and enthusiastic audience on hand as the track is the closest IMSA race for the Lincolnwood, Illinois-based company. The Road America event will begin with a promoter test day on Thursday. Friday will feature official practice and qualifying which will set the stage for the 2.5-hour race on Saturday which goes green at 12:20 PM Central Time (1:20 PM ET). IMSA.com will provide live streaming coverage of both qualifying and the race. Fans can follow either at scoring.imsa.com or on the IMSA app for coverage throughout the weekend.